The best article at the ECCV 2018 conference - from the authors of GosNIIAS! FGUP GosNIIAS employees took part in the ECCV 2018 European Machine Vision Conference, which was held on the 8 - 14th of September in Munich, Germany. Every two years the ECCV International Conference brings together more than 2,000 leading scientists in the field of machine vision and is the third most quoted in the world ranking of conferences on machine vision. FGUP GosNIIAS representatives regularly participate in this conference to maintain the advanced level of computer vision methods used to solve problems of increasing the civil aviation safety. This year two reports were presented at the conference: “Image-to-Voxel Model Translation with Conditional Adversarial Networks” and “ThermalGAN: Multimodal Color-to-Thermal Image Transformation for Multispectral Dataset”. The first report is devoted to generative-competitive networks for predicting a three-dimensional model of an object (obstacle) from a single photo. The second one is devoted to the task of identifying and tracking objects in multispectral images. 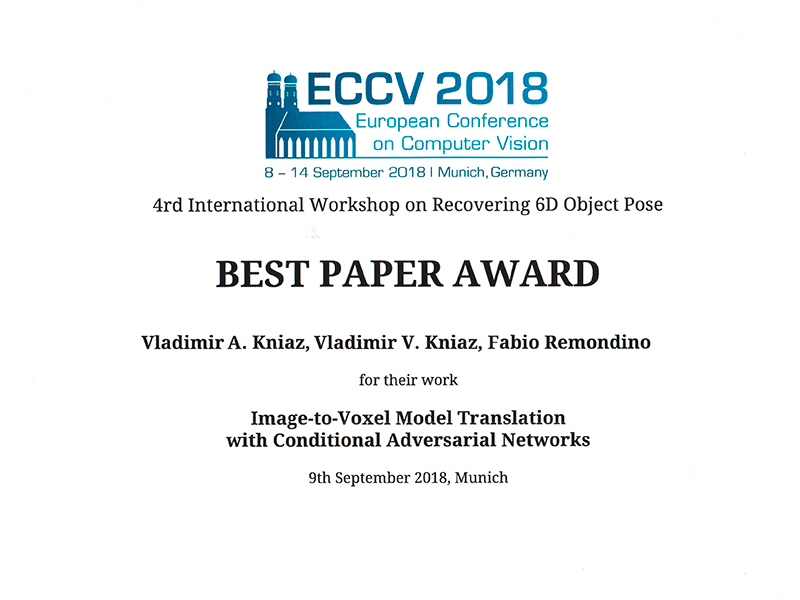 The article “Image-to-Voxel Model Translation With Conditional Adversarial Networks” was awarded the Best Paper Award diploma at the 4th International Seminar on Restoring 3D Model Objects (4th International Workshop on Recovering 6D Object Pose), held at the conference. 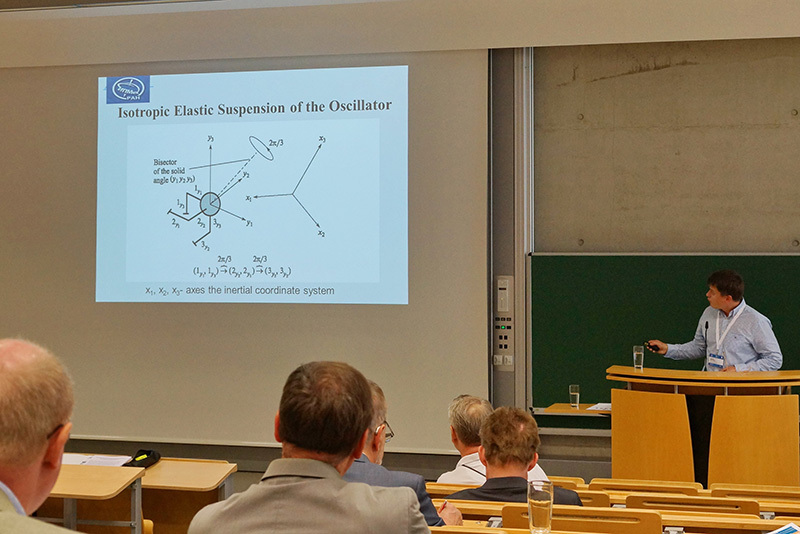 Specialists of the GosNIIAS International Conference "Inertial Sensors and Systems" in Braunschweig. 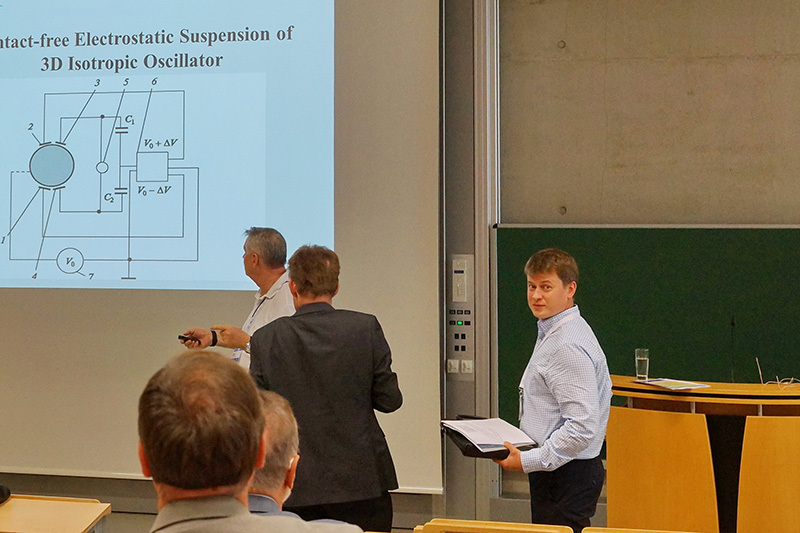 FGUP GosNIIAS experts in the field of inertial navigation systems took part in the European Conference on Inertial Sensors and Systems, held on September 11-12 at the Technical University of Braunschweig. FGUP GosNIIAS researcher D.Ye. Borodulin in collaboration with D.Eng.Sc. S.Ye. 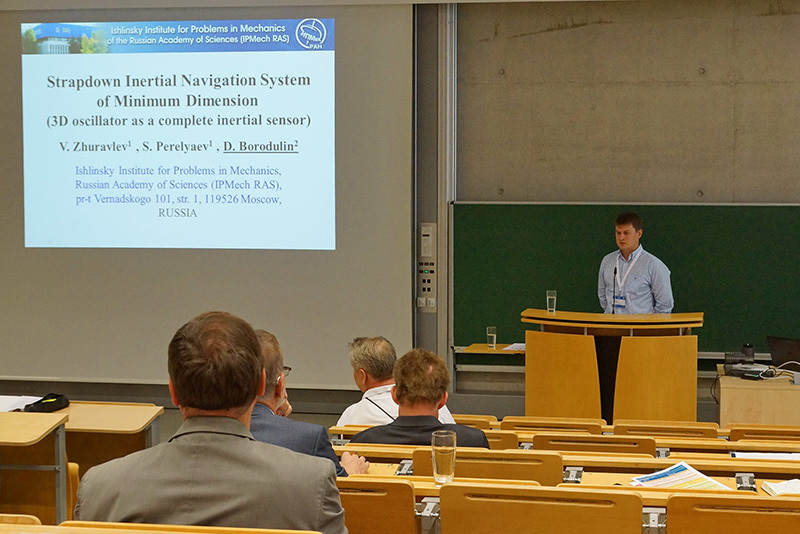 Perelyayev (Institute for Problems in Mechanics of the Russian Academy of Sciences, presented the report “A strapdown inertial navigation system of minimal dimension (three-dimensional oscillator as an inertial sensor of full value)”. Modern INS / GPS, developed and produced in Italy, independent of international gun control rules, Giovanni Mattei, Northrop Grumman Italia, Italy. The report contents will be available here - https://iss.iff.ing.tu-bs.de/information.php (the report full text will be published in November). The FGUP GosNIIAS delegation held meetings on the conference subject with representatives of Honeywell, Optolink, Czech Technical University, University of California, Beijing Institute of Control and Automation and China Research Institute of Navigation. Presentation of GosNIIAS R&D products at the conference “Aviation Cybersecurity”. A conference devoted to the problems of protecting civil aviation from cyber threats and modern technology development in the field of cyber security was held on the 18-th of September at FGUP GosNIIGA (State Research Institute of Civil Aviation) Air Navigation Research Institute Branch. The FGUP GosNIIGA Acting General Director Vadim Leonidovich Filippov delivered a welcoming speech. In his address to the conference participants he emphasized the importance and relevance of the issues discussed at the conference, mentioning modern secure information infrastructure founding and professional personnel training as key areas of activity. Falkov E.Ya. “Aviation information and communication technologies and cybersecurity”. According to the conference results relevant proposals will be prepared and sent to the Department of State Policy in the field of Civil Aviation of the Ministry of Transport of the Russian Federation. GosNIIAS in the ILA Berlin Air Show 2018. The delegation of FGUP GosNIIAS took part in the International Berlin Aerospace Exhibition ILA Berlin Air Show 2018, which was held in Berlin on April 25 – 28. 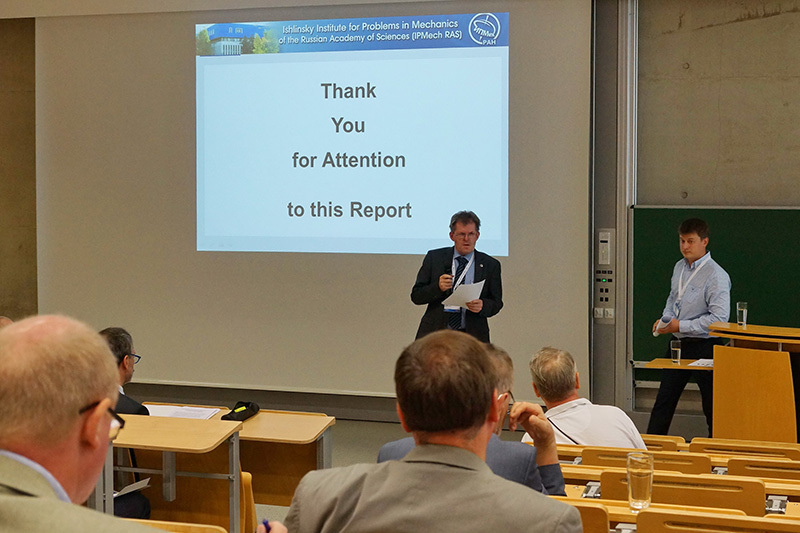 The business program included seminars and conferences aimed at analyzing the results of the EU-RF interaction within the framework of the HORIZON-2020 and planning future work in the ninth framework program (FP9). Please do not hesitate to contact the Department of the international cooperation by e-mail info-ved@gosniias.ru with any of your questions or concerns. GosNIIAS at the World ATM Congress 2018. 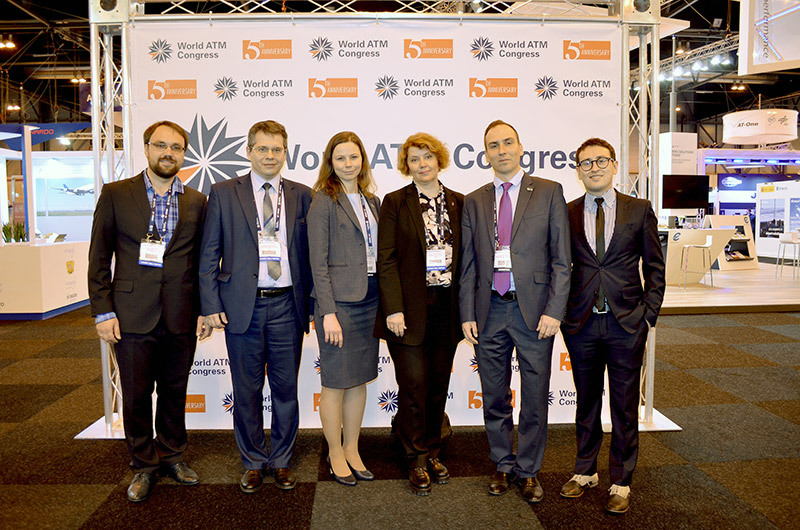 On March 6-8 GosNIIAS took part in the sixth international exhibition "World ATM Congress", held in Madrid, in the IFEMA Exhibition center, Feria de Madrid. World ATM Congress has been holding since 2013. During this period, the exhibition has become one of the main venues, where representatives of the aviation industry, engaged in Air Traffic Management can annually meet. This year the Congress gathered 237 companies from more than 130 countries. Stand GosNIIAS presented works in the field of mathematical and hardware-in-the-loop simulation. The fast-time simulation technologies for Air Traffic Management and Air Traffic Control in the air and on the aerodrome were presented to the visitors. The exposition of GosNIIAS raised a great interest among representatives of large scientific organizations, manufacturers of Air Traffic Control systems and air navigation service providers. 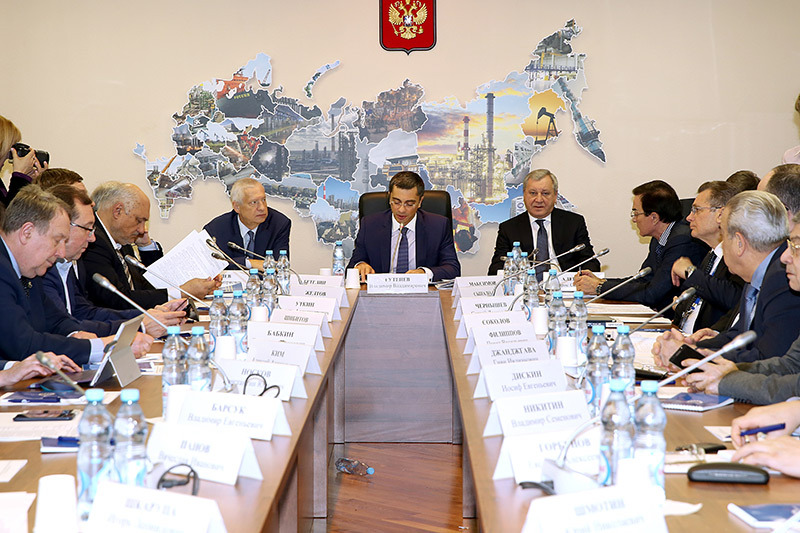 Joint meeting of the Russian Federation Defense Industry Complex Organizations development Expert Council for Scientific and Technological Development and the Commission for the Legal Support of Development of Organizations of the Defense Industry Complex of the Russian Federation. Director General of GosNIIAS, Academician S.Yu. Zheltov took part in a joint meeting of the Russian Federation Defense Industry Complex Organizations development Expert Council for Scientific and Technological Development and the Commission for the Legal Support of Development of Organizations of the Defense Industry Complex of the Russian Federation. The meeting discussed the issues of legislative support for the activities of the defense industry complex enterprises, anti-corruption enforcement and federal budget fund use efficiency monitoring of the state defense order sphere. Particular attention was paid to issues of developing of various modeling methods that allow to reduce costs at all stages of complex technical systems development. Also attention was paid to the need to develop digital technologies and to build a research and technical groundwork. 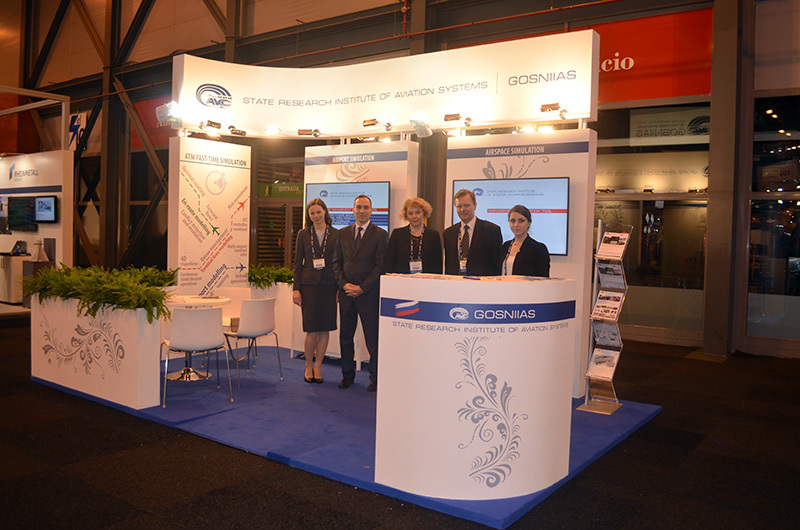 GosNIIAS participated in the exhibition "Aviation Science in the Service of the Motherland". 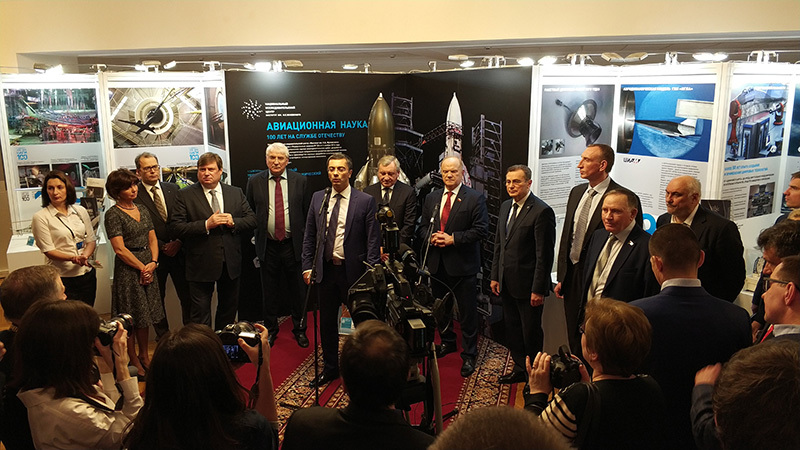 GosNIIAS participated in the exhibition "Aviation Science in the Service of the Motherland", which was held from February 19 to 22 in the State Duma of the Russian Federation. The exhibition demonstrated the main areas of the aviation industry scientific institutes research. Interesting historical facts, modern projects and development trends were shown. Deputies and leaders of political fractions, representatives of industry and the media attended the exhibition. The presented exposition aroused genuine interest among the deputies, employees and visitors of the State Duma. 4th International Conference “Prospects of Civil Avionics Development”. State Research Institute for Aviation Systems (GosNIIAS) is pleased to invite you to the 4th International Conference “Prospects of Civil Avionics Development” which is to be held within the frame of MAKS-2017 Air Show on July 20, 2017. Location: Zhukovsky city, TSAGI Scientists Club (Zhukovsky town, Zhukovsky street, 7). Timing: from 9:00 a.m. till 18:00 p.m. The latest technical solutions in the field of the next-generation highly integrated commercial avionics and general aircraft systems based on distributed modular electronics (DME) will be discussed at this event. The main focus will be on Irkut MC-21 family programme development, which is the key one in the field of the Russian civil aviation industry. It involves continuous improvement and modernization of the MS-21 series aircraft. For the successful solution of this problem it is nessessary to form a technological advance. At the conference reports will be presented for discussing of modern achievements and developments in the field of advanced highly-integrated avionics systems, resulted from the cooperation of the Russian enterprises and scientific organizations. Representatives of the leading foreign aviation firms which are being the equipment and services suppliers for the MC-21 programme are invited to deliver speeches at the conference. Foreign partners will present their programme development proposals. Next-generation technologies and computer-aided design facilities for avionics. Certification methods for highly integrated avionics systems of airborne equipment. Next-generation highly integrated fault-tolerant architectures and unified hardware solutions for avionics. New functionality of avionics and general aircraft systems for enhancing aircraft safety and reducing operating costs. 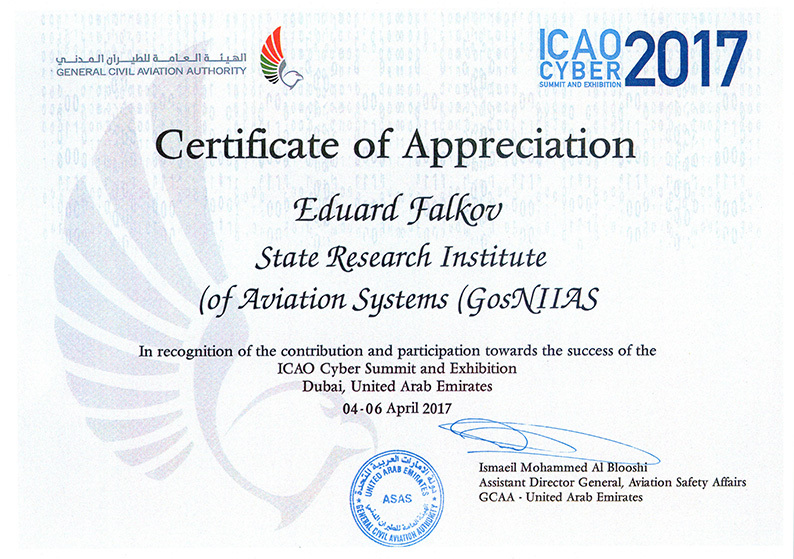 GosNIIAS representative E.Falkov, member of the Expert group of the Remotely Piloted Aircraft Systems (RASP), participated in the ICAO Cyber Summit which was held on the 4-6th of April in the United Arab Emirates. Russian ICAO assignee expressed gratitude to the GosNIIAS for taking part in the Summit. E.Fallkov presentation «Taxonomy of aviation cyber threats and relevant protection methods: state-of-the-art and candidate solution paths» provoked high interest of the participants. In this regard, the President of the ICAO Council, Dr. Benard Aliu offered E.Falkov to conduct informal briefing on the Cybersecurity topic for the members of the ICAO Council and ICAO Air Navigation Commission. GosNIIAS on World ATM Congress 2017. 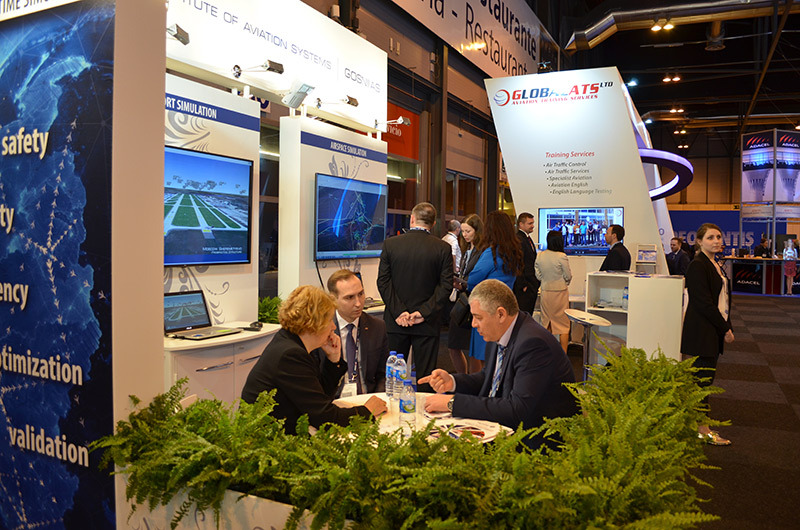 The fifth Jubilee International Air Traffic Management Exhibition – World ATM Congress 2017 – was held on March 7-9 in Madrid, in the Exhibition Centre IFEMA, Feria de Madrid. The World ATM Congress exhibition is the largest international forum, which has already been gathering the whole aviation community for five years. Manufacturers, researchers, national and international aeronavigation services, international and non-governmental organizations, large airline companies, print media and representatives of the aviation authorities take part in it. This time the scale of the exhibition has reached record showings both by the amount of the participating organizations and by the number of visitors. 230 companies and organizations from more than 100 world countries were presented at the exhibition, which has been attended by almost 8000 visitors. It is worth mentioning that our institute has also contributed to these impressive numbers: this year GosNIIAS presented its stand at the exhibition. 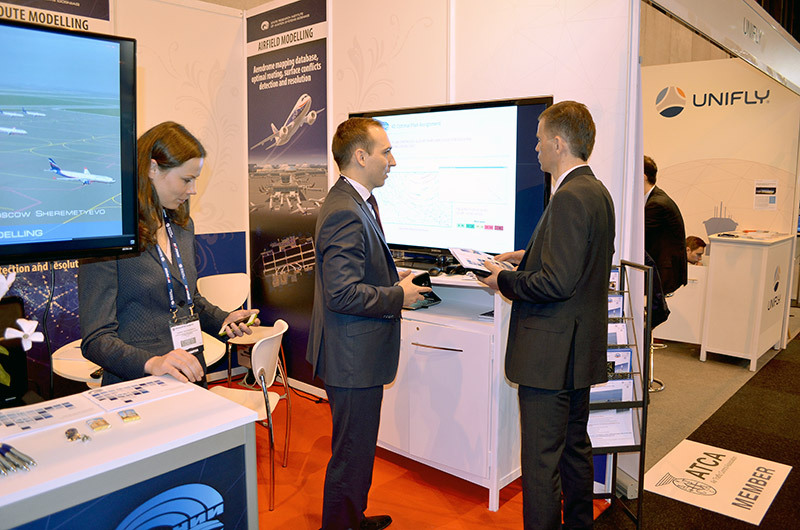 The stand was dedicated to the works of the Institute in the field of mathematical and hardware-in-the-loop simulation of the Air Traffic Management System’s processes. The employees of the GosNIIAS ATM unit demonstrated the Air Traffic Management System Simulation Facility. They demonstrated the GosNIIAS experience and capabilities of conducting research in this field. Moreover, GosNIIAS specialists told the visitors about the Hardware-in-the-Loop ATC Research Simulator Facility, and about its capabilities to conduct research on the "pilot - dispatcher" interaction while working out new promising technologies. The GosNIIAS facility attracted great interest among the visitors of the exhibition. 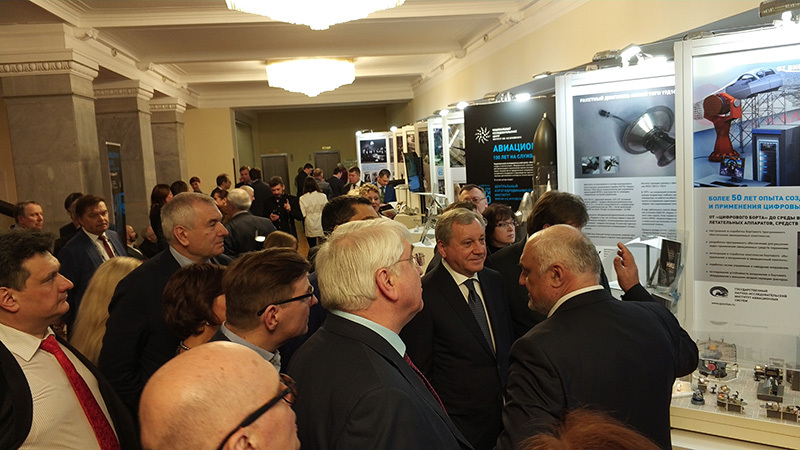 Our work was of interest for foreign colleagues conducting similar studies, representatives of air navigation service providers, dispatchers, representatives of scientific organizations, students and other participants of the exhibition. For example, we discussed the possibility of joint scientific work on ATM topics with the representatives of the French ENAC company, which provides scientific support for the work of the French air navigation service provider and the training of dispatcher personnel. Separately, it should be noted that domestic organizations also actively got acquainted with our works: representatives of branches of the State Corporation for Air Traffic Management, manufacturers of ATC systems, manufacturers of surveillance systems, the Industry Institute of the Ministry of Transport (branch of the Scientific Research Institute of Air Navigation) and others. Negotiations were held with the representatives of Azimut company, a domestic manufacturer of ATC systems, about the technical implementation of remote interaction between the Hardware-in-the-Loop ATC Research Simulator Facility and the Azimut dispatcher station. This solution will make it possible to perfect the "pilot-dispatcher" interaction in the process of evaluating advanced air traffic control technologies. In addition to working directly at the exhibition stand, members of the Institute delegation participated in numerous scientific and technical events of the exhibition - various seminars, panel discussions and demonstrations. Some of the events took place directly at the stands (for example, SESAR and Eurocontrol), some were held at specialized platforms. Also, representatives of GosNIIAS have got acquainted with the latest achievements in the industry represented at the stands of other companies. 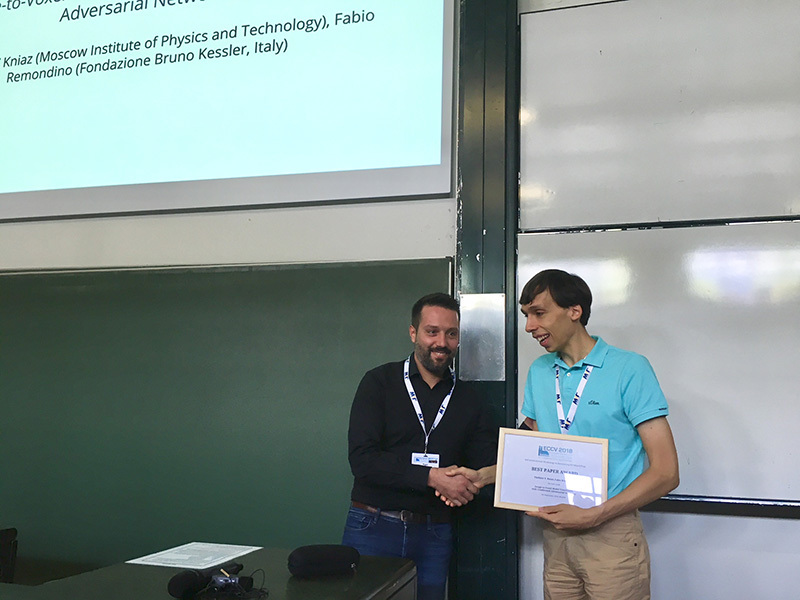 Particular attention was paid to foreign developments similar to those presented at the GosNIIAS stand: AirTop by AirTopSoft, NAVSIM from the University of Salzburg, Recall from Think Research, TAAM from Jeppesen. 4-th International Conference “Integrated Modular Avionics. Prospects of development”. The State Research Institute for Aviation Systems (GosNIIAS) is pleased to invite you to the 4th International Conference “Integrated Modular Avionics. Prospects of development” which is to be held within the frame of MAKS-2017 Air Show on July 20, 2017. The latest technical solutions in the field of creating advanced highly integrated commercial avionics and general aircraft systems based on distributed modular electronics (DME) will be presented for the discussion. The Conference will be held in TSAGI Scientists Club (Zhukovsky town, Zhukovsky street, 7) close to MAKS-2017 event (airfield). Advanced highly integrated fail-safe architectures and unified hardware solutions for avionics and general aircraft systems based on DME. New functionality of avionics and general aircraft systems for aircraft safety increasing and maintenance cost decreasing. Cockpit information management system for advanced aircraft. Advanced technologies and computer-aided design facilities for avionics. Certification methods for highly integrated airborne equipment. Leading national and international aviation companies and organizations have already confirmed their participation in the Conference as speakers. We invite you to participate in the Conference as a speaker or with a poster. Please submit the Informative abstracts to the e-mail info_ved@gosniias.ru until April 25, 2017. For further information, please visit the dedicated web page at http://www.modern-avionics.com/our-events/conferences-workshops/ima-conference-2017/. We look forward to see you in Moscow. phone: +7 (499) 775-21-98, e-mail: info_ved@gosniias.ru, conference@modern-avionics.ru. GosNIIAS participated in the meeting between CAE and RDE “The Zhukovsky institute” concerning advanced joint projects of new aviation technology development. 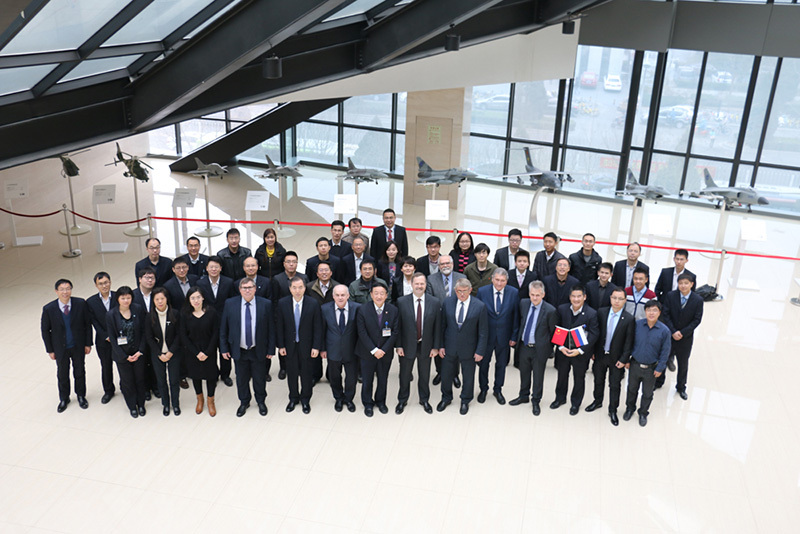 The meeting was held on the 17-th - 18-th of January in Beijing (PRC) under the signed Strategic Cooperation Treaty in November 2016 between Chinese Aeronautical Establishment (CAE) and RDE “The Zhukovsky institute”. Human-computer interface development and evaluation for a civil aviation cockpits. Integration and verification of the IMA software. Large-scale software development for modern avionics. The parties presented the materials which reflect each party’s vision of the problem being solved. Insights have been shared, subjects of future works have been specified, a plan of future actions has been coordinated. International Workshop on Contemporary Materials and Technologies in the Aviation Industry (CMTAI 2016). 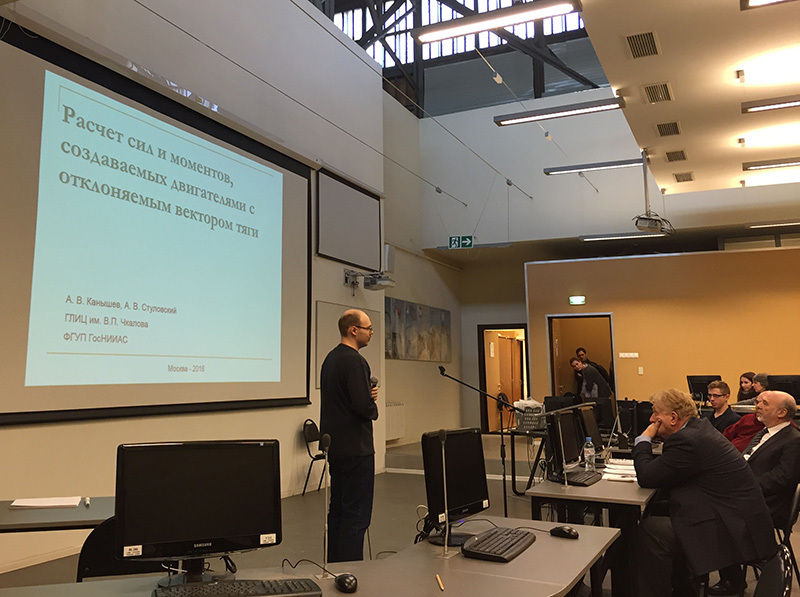 The International Workshop on Contemporary materials and technologies in the aviation industry (CMTAI 2016), organized by the Moscow Institute of Physics and Technology and the Moscow Technological Institute was held on the 15-th - 16-th of December. The workshop was dedicated to the issues of developing modern materials and technologies in the aviation industry. The main aim of CMTAI was the exchange of best practices between native and foreign specialists. G. Serebryakov, V.Insarov in the section “Control synthesis”. Presentations of the GosNIIAS representatives have caught the interest of the audience, and thus, during the discussion a lot of questions were put forward to the speakers. 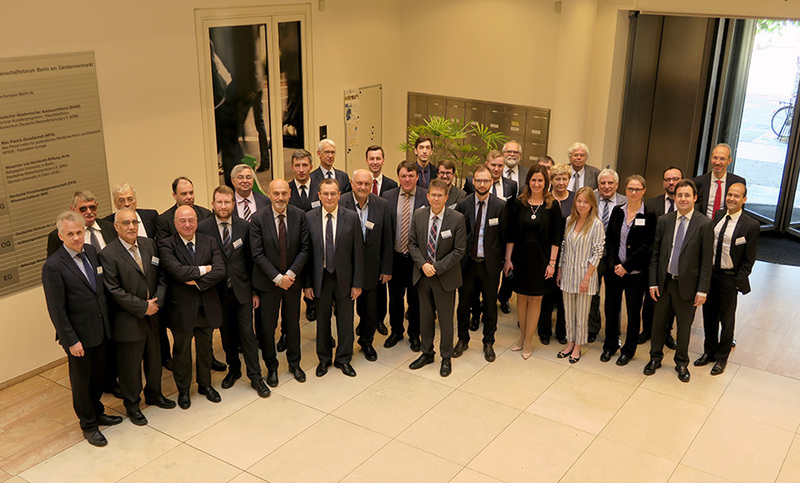 To sum up, it is worth mentioning that the workshop «Contemporary materials and technologies in the aviation industry» was held at high scientific level. The corporate employees’ works were acknowledged as relevant and high-potential for the native aviation industry.